are: 3.3/4" h x 4 w or 3" x 4.1/2" based on stock availability at time of order. NUMBER NOW BEING SERVED decal. PLEASE! TAKE A NUMBER FOR BETTER SERVICE decal. NUMBER FOR BETTER SERVICE and a NUMBER NOW BEING SERVED decal. 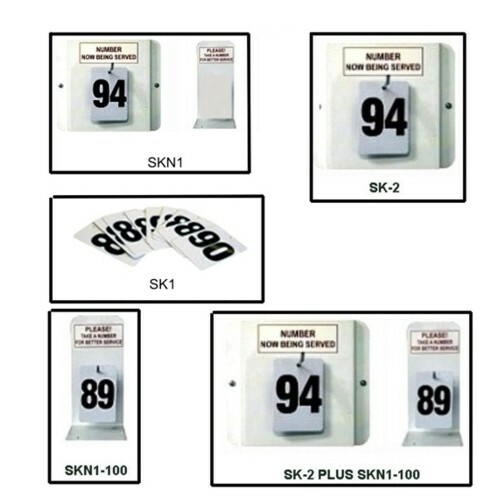 two sets of SK-1 plastic numbers and 2 decals.